You and your fiancé have spent a lot of love and time to get to your special day. Make sure you seal it with a beautiful first dance. Today, many brides and grooms opt for upbeat, fast tempo dances such as Swing, Hustle, or Cha Cha, while other couples prefer more traditional dances like Waltz, Foxtrot, Rumba, or Bolero. 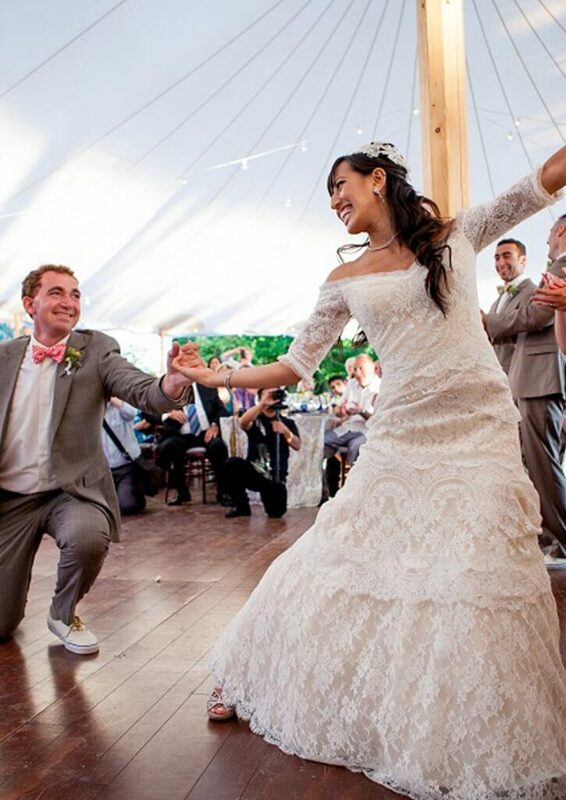 Whatever dance you choose, we will help you look your best for your first dance. As dance experts, we can assist you with music and dance selection, choreography, and rehearsals to ensure that your wedding dance perfectly conveys the theme and setting of your wedding. We would be honored to be apart of your special day.